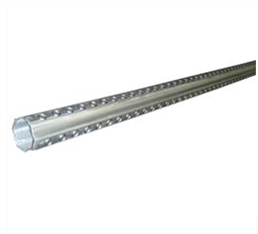 Octagon Steel Posts-Better Products Co.
· Thickness:12 and 14 gauge thickness. · 1.75"x1.75", 2.0"x2.0", 2.25"x2.25" Octagonal-outside. · Color:Mill Finish or Powder Coat Color. · Any lengths are available according to your demand. · Plain, knockout and perforated octagon steel posts are available on your request.